Ilek A, Kucza J, Morkisz K (2016). Hygroscopicity of the bark of selected forest tree species. iForest 10: 220-226. As the outer layer of trees and shrubs, bark is exposed to the direct action of atmospheric conditions and reacts to changes in relative air humidity. This study focuses on the actual hygroscopicity of the bark, regarded as a component of the total bark retention capability. The main research aims were to: (1) determine the physical properties (specific density, bulk density, total porosity), actual hygroscopicity and maximum water storage capacity of the stem bark at breast height (1.3 m) of eight forest tree species; (2) assess the relationship between bark actual hygroscopicity and its physical properties; (3) determine the share of the actual hygroscopicity of bark in its maximum water storage capacity. Significant differences were observed among the different species considered as a consequence of the variation in physical properties of their bark. Actual hygroscopicity of bark (expressed in balance units), i.e., the maximum water amount that can be absorbed from saturated air by the outer bark layer, showed a significant relationship with bark physical properties. Depending on tree species, actual hygroscopicity may constitute from 10 to 30% of the maximum water storage capacity of bark. Rainfall interception in laurel forest in the Canary Islands. Agricultural and Forest Meteorology 97: 73-86. Influence of several tree traits on rainfall partitioning in temperate and boreal forests: a review. Annals of Forest Science 66 (6): 1-11. Morphological correlates of fire- induced tree mortality in a central Amazonian forest. Journal of Tropical Ecology 19: 291-299. Epiphyte differentiation between Quercus petraea and Fraxinus excelsior trees in a maritime area of South West England. Vegetatio 48 (1): 61-70. Insulation capability of the bark of trees with different fire adaptation. Journal of Materials Science 45: 5950-5959. Anatomical and physiological responses of bark tissues to mechanical injury. In: “Defense mechanisms of woody plants against fungi” (Blanchette RA, Biggs AR eds). Springer, Berlin-Heidelberg, Germany, pp. 13-40. An analysis of throughfall and stemflow in mixed oak stands. Water Resources Research 6 (1): 316-323. Measurements and modeling of throughfall variability for five forest communities in the southeastern US. Journal of Hydrology 312: 95-108. Partitioning of rainfall into throughfall, stemflow and interception: effect of forest type, ground cover and climate. Hydrological Processes 14: 2903-2920. Bark properties and fire resistance of selected tree species from the central hardwood region of North America. Canadian Journal of Forest Research 24 (4): 688-696. Interception storage capacities of tropical rainforest canopy trees. Journal of Hydrology 77: 237-252. Vertical variation in stemflow generation. Journal of Applied Ecology 18: 521-527. Hydrological properties of bark of selected forest tree species. Part I: the coefficient of development of the interception surface of bark. Trees 28: 831-839. Hygroscopicity of tree barks. Indian Forester 60 (10): 702-707. Potential interception in laboratory condition under simulated rain with low intensity. Sylwan 158 (4): 292-297. Carbohydrate sources and sinks in woody plants. The Botanical Review 58: 108-222. Theoretical and practical aspects of calculating the water storage in forest soils. Part I. Non-skeletal soils. Sylwan 9: 24-33. Epiphyte flora and diversity on basal trunks of six old- growth forest tree species in southern and middle boreal Finland. The Lichenologist 28 (5): 443-463. Using wavelet analysis to examine bark microrelief. Trees 28: 413-425. A review and evaluation of stemflow literature in the hydrologic and biogeochemical cycles of forested and agricultural ecosystems. Journal of Hydrology 274: 1-29. A review of stemflow generation dynamics and stemflow-environment interactions in forests and shrublands. Reviews of Geophysics 53 (3): 673-714. Interspecific variation of bark water storage capacity of Tyree deciduous tree species in relation to stemflow yield and solute flux to forest soils. Catena 64: 117-137. Temporal variability of stemflow volume in a beech-yellow poplar forest in relation to tree species and size. Journal of Hydrology 380: 112-120. Vertical variation of bark water storage capacity of Pinus strobus L. (Eastern white pine) in southern Illinois. Northeastern Naturalist 13 (1): 131-137. A new model for the prediction of rainfall interception in forest canopies. Ecological Modelling 99: 151-159. A simplified method for forest water storage capacity measurement. Journal of Hydrology 240: 131-144. Rainfall interception by a Pinus sylvestris forest patch overgrown in a Mediterranean mountainous abandoned area. I. Monitoring design and results down to the event scale. Journal of Hydrology 199: 331-345. Relative density, equilibrium moisture content, and dimensional stability of western hemlock bark. Wood and Fiber 13 (2): 86-96. Investigations on the bark pH and epiphytic lichen diversity of Quercus taxa found in Marmara Region. Journal of Applied Biological Sciences 5 (1): 27-33. Fire resistance and bark properties of trees in a seasonally dry forest in eastern Bolivia. Journal of Tropical Ecology 13 (5): 727-740. Within and between-tree variation of bark content and wood density of Eucalyptus globulus in commercial plantations. IAWA Journal 22 (3): 255-265. Swelling properties of bark. Wood Science and Technology 13 (3): 187-196. Biomonitoring of airborne inorganic and organic pollutants by means of pine tree barks. I. Temporal and spatial variations. Science of The Total Environment 232 (1): 49-58. Distribution and ecology of myxomycetes in temperate forests. II. Patterns of occurrence on bark surface of living trees, leaf litter, and dung. Mycologia 81: 60-621. An automated instrument for the measurement of bark microrelief. IEEE Transactions on Instrumentation and Measurement 59: 491-493. 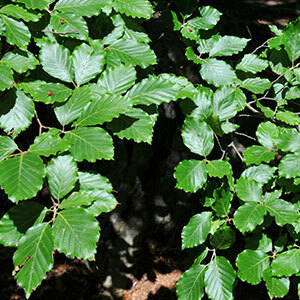 Impact of interacting bark structure and rainfall conditions on stemflow variability in a temperate beech-oak forest, central Germany. Hydrological Sciences Journal 61 (11): 2071-2083. Distribution of rainfall under forest stands. Forest Science 6 (1): 2-10. Absorption of stemflow by bark of young red and white pines. Forest Science 10: 277-282. Variation in density and moisture content of wood and bark among twenty Eucalyptus grandis progenies. Wood Science and Technology 18 (2): 97-100. Acidity and moisture in tree bark. Proceedings of the Indiana Academy of Science 47: 106-115.